A Virginia man who prosecutors say left a voicemail threatening to kill then-Gov. Terry McAuliffe has been sentenced to five years in prison. RICHMOND, Va. (AP) — A Virginia man who prosecutors say left a voicemail threatening to kill then-Gov. 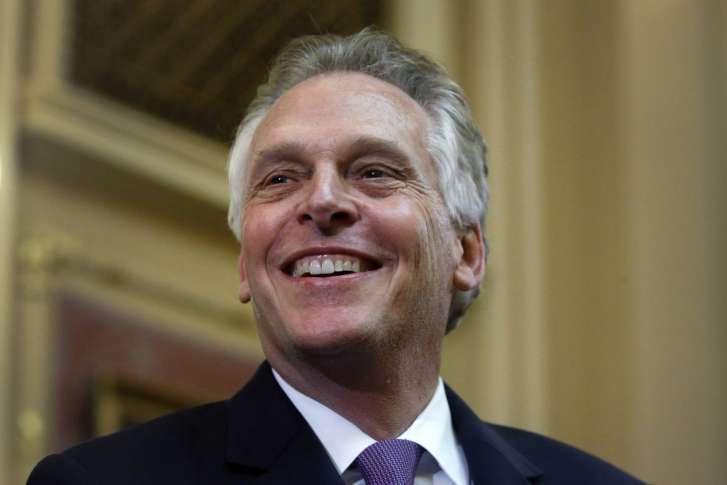 Terry McAuliffe has been sentenced to five years in prison. The Richmond Times-Dispatch reports 48-year-old Leonard Szweda pleaded guilty to two charges of threatening McAuliffe or his family. He also pleaded guilty to possessing a firearm while being the subject of a protective order and possessing ammunition while being a felon. Henrico Commonwealth’s Attorney Shannon Taylor says Szweda called a constituent services phone line in 2017 and threated to kill McAuliffe and members of his family. Taylor says police went to Szweda’s home and took him into custody. She says investigators found two rifles, firearm magazines, ammunition and marijuana. Szweda was taken to a mental hospital. According to Taylor, Szweda apologized during a hearing Friday.